The Canoe Shops Group is well established in the paddlesport import and retail industry with nationwide stores. Employment opportunities arise as a result of expansion, promotions within the group and people simply moving on. If you are considering a career in the leisure import/distribution/retail sector then you should look at the list of vacancies below. If there is something there you like then please get in touch. Successful applicants are usually paddlers who are numerate, literate, computer literate, pleasant by nature and prepared to work hard and do their bit in a successful business. - Professional and knowledgeable presentation and advice on the company's product range. - Process sales in the manner instructed. - Assist in product purchasing, stock control and stock sharing within our group of businesses. - Manage and process receipt and dispatch procedures. - Maintain product presentation to maximise sales. You will need to understand and participate in paddlesport. You will need to be numerate, literate and proficient with computer software programs including Microsoft Office and Outlook. Common sense and self motivation are more important than paper qualifications. Previous sales experience is not required. 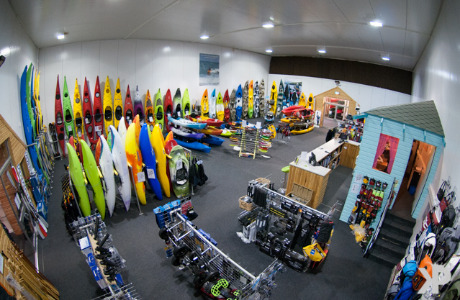 Canoe Shops UK is the largest specialist supplier of canoes, kayaks, sit on tops and equipment, serving the UK and Ireland. Established in the 1990s, we have many years of experience selling canoes and kayaks through our group of businesses - all family owned and independent of any manufacturer. We strive to bring our customers the best quality products from Canoe and Kayak manufacturers here in the UK and from all around the world.